Optical gas imaging cameras from FLIR can visualize and pinpoint gas leaks. With an optical gas imaging camera it is easy to continuously scan installations that are in remote areas or in zones that are difficult to access. Continuous monitoring means that you will immediately see when a dangerous or costly gas leak appears so that immediate action can be taken. Optical gas imaging (OGI) cameras are widely used in industrial settings such as oil refineries natural gas processing plants, offshore platforms, chemical/ petrochemical industries, and biogas and power generation plants. OGI cameras like the FLIR G300 pt can detect harmful VOC (volatile organic compounds) that can seriously harm the environment. FLIR G300 pt contains a cooled Indium Antimonide (InSb) detector that produces thermal images of 320 x 240 pixels. With its low F-number and low gas sensitivity G300 pt detects the smallest of leaks. The high sensitivity mode further enhances the sensitivity of the cameras so that the smallest gas leaks can be detected. FLIR G300 pt is easy to control from a safe distance. It can be fully controlled over Ethernet and easily integrated in a TCP/ IP network. The FLIR G300 pt is available with 23 mm or 38 mm lens. Longer lenses give you a narrower field of view so that you can detect gas leaks from farther away. The FLIR G300 pt is integrated in a robust housing that is mounted on a pan/tilt mechanism. It allows the user to rotate the camera 360° continuously and to tilt it +45° or -45°. It allows monitoring different areas with the same system. Ideal if you want to monitor both gas leaks and use the system for predictive maintenance applications at the same time. The pan/tilt has 128 preset positions, perfect for when you want to scan different areas continuously. The G300 pt is also equipped with a long-range daylight/low light camera. 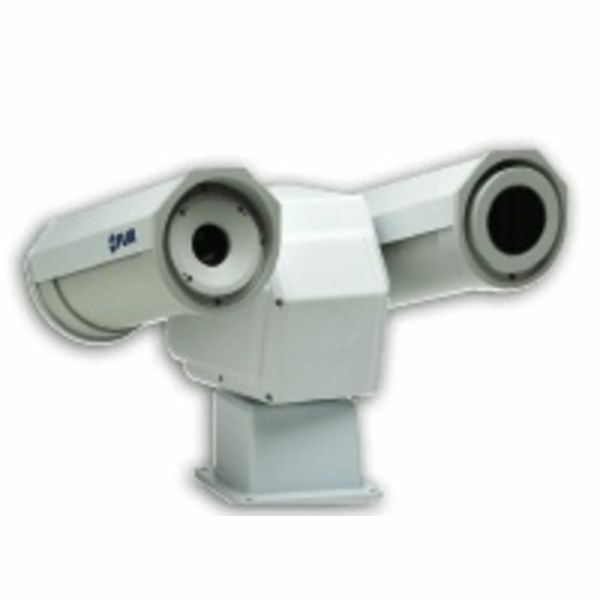 The video output of the thermal imaging and daylight/low light camera are simultaneously available. The daylight camera offers a 36x optical zoom. Benzene, Ethanol, Ethylbenzene, Heptane, Hexane, Isoprene, Methanol, MEK, MIBK, Octane, Pentane, 1-Pentene, Toluene, m-xylene, Butane, Ethane, Methane, Propane, Ethylene and Propylene. Gases detected: Benzene, Ethanol, Ethylbenzene, Heptane, Hexane, Isoprene, Methanol, MEK, MIBK, Octane, Pentane, 1-Pentene, Toluene, m-xylene, Butane, Ethane, Methane, Propane, Ethylene and Propylene.